An electric?battery?is an energy conversion and storage devices?that convert stored chemical energy into electrical energy.? With the fast developed science and technology, improvement of human living standards, more and more variety of new features, high-tech electronic products are widely used to humans.Correspondingly,it will promote the arising of all kinds of different appearance and performance batteries. The big brand such as Nanfu battery,GP battery,Panasonic and so on are known by people.Another 2 big brands have attracted worldwide attention with their excellent quality,innovative style and performance-Grepow and ATL. Shenzhen Grepow Battery Co.,Ltd is a professional R&D,design,manufacture and selling company.From the establishing year 1998,Grepow has changed greatly in its development. Grepow manufactured and supplied Ni-Mh battery from 1998 in a large quantity with its stable quality,reasonable price and perfect service.It is a kind of no-pollution,no cadmium new green energy battery widely used in areas like civil life,cars,toys, telecommunication and so on. We recommend NiMH for applications where a device has already been designed to use AA type batteries. This batteries,?however,?have a short?lifespan,heavy,low discharge rate,and low voltage characteristics,so Grepow update to manufacture Li-po battery from about 2009. With a professional R&D team,and extensive experience in manufacturing battery, excellent technical documentation and advanced processing management system,Grepow’s 2 big brand Li-po battery-Gens Ace and Tattu are greatly known and used in RC ans UAV.which ensures battery’s consistency and stability in mass production. Gens Ace batteries are very useful for embedded electronics. They offer the highest density readily available on the market. Because cell phones predominantly use this battery type, they are easy to find for reasonable prices. They?do?require special charging, so be sure to use the right charger for the job. Gens Ace LiPo batteries cell has a?nominal voltage of 3.7V. When fully charged you will see nearly 4.2V on the cell but it will quickly drop to 3.7V under normal use. When depleted, the cell will be around 3V. This means your project will need to handle various voltages if you are running directly from a cell. If you need 5V you will need to combine two LiPos in series to create a 7.4V pack and regulate down to 5V. We recommend Gens Ace LiPo for nearly every portable application like helicopter,RC,jump starter,Car battery Lipo and so on.They are fairly robust and when used safely provide a great power source. DJI-the world market leader in easy-to-fly drones and aerial photography systems,adopts Grepow’s Tattu battery to control its famous UAV.With the advantage of professional R&D, humanized?service,mass production capacity,amzing explosive power,Tattu is widely used by other big brand GoPro,Panasonic,LG and so on. In the future,Grepow’s Tattu will be used in more fields and Grepow will pay attention and be allergic to more potential development trend and supply better bettery or other amzing products to the world. 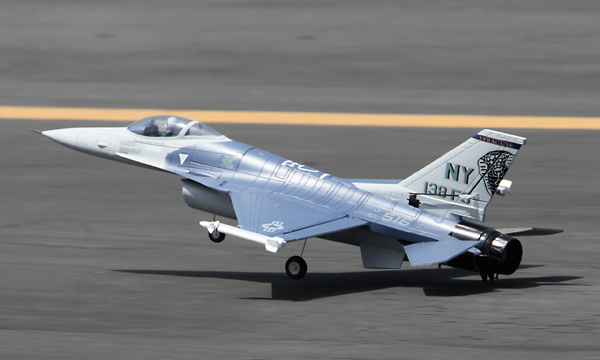 When lithium batteries first reached modelers, they were just what electric modelers needed – a lightweight, high voltage battery with a high capacity. They quickly became very popular, even though it was equally quickly apparent that they require careful handling to avoid becoming damaged and even catching fire. Lipo cells are nominally rated at 3.7 volts and are available in a wide range of capacities. It is absolutely essential that they are kept within a safe voltage range (no lower than 3.00 volts and not more than 4.20 volts) at all times. To ensure this is the case, they require careful charging and handling. Unlike nickel-based types, the consequences of mistakes with lipo cells are potentially much more serious and include battery fires, so safety issues are very important indeed with lipo cells. The very important topic of this safe voltage range is expanded upon in the next chapter. The table below shows the nominal, minimum and maximum voltages for various lipo batteries. Lipo cells are said to be of‘plate’construction because they are made up from a number of thin parallel-connected plates, similar to the thicker plates of the familiar car battery. This produces cells with a low internal resistance, so 4S lipo batteries are generally well suited to high discharge rates. For the same weight as a nickel based battery, a lipo battery contains several times the stored energy. Lipo cells are made up of three principal components; a cathode (positive plate), anode (negative plate) and separator. The cathode and anode are made principally from lithium, while the separator is made from rigid sheets of polymer soaked with a conductive electrolyte. These give the cell some resistance to bending. However because the case of the cells is simply a thin foil of metalized Mylar, they are easily damaged by impacts or other physical mishandling. Modern lipo cells are capable of very high discharge currents. Some cells are rated for a sustained 30C discharge which would exhaust the battery in only 2 minutes. For a 2,500mAh pack this is equivalent to a continuous 75A – this is a very high current indeed. The nature of lipo cells combined with the relatively demanding modelling environment means they usually only have a relatively short cycle life. A good quality 2S 7.4 v lipo battery if treated well could achieve 250+ cycles. This represents quite a lot of flying – that’s 5 flights every week for an entire year. If each flight was only 6min in duration, the accumulated flying time would exceed total 20 hours. Sadly many models never last long enough to accrue this many flights. Some people define the lifespan of a lipo battery as when its capacity falls to 80% or some other proportion of its stated capacity. Depending on the way it’s used, this situation can occur quite soon. My own definition is a little more flexible – provided I am getting safe and reliable use from a lipo, I keep it in service. Whatever definition you choose, essentially the life of a lipo ends when it can no longer be trusted to provide you with the service and reliability you need for the application in question. For quadcopter designs, you generally want to have around a 2:1 thrust-to-weight ratio. That is, at 100% throttle, you want your combined propeller thrust to be capable of lifting two times the weight of the craft. You then need to determine the amount of power the motors need to generate that thrust (usually given on the datasheet). When you have that amount of power, you can easily calculate the amount of time your battery will last. From my understanding there is a trade-off between (net) weight of quadcopter Vs. Flight time. I have been quite interested in this trade-off between both, and later I will present a figure from one of the earliest papers on quadcopters (link) which explains this trade-off nicely. In our discussion, if we use a battery of 5000mAh – we fly longer as compared to say 2000mAh (weight is decreased). Now, let us see this figure below, where it shows the an increase in weight presents an exponential increase in power consumption. I am looking for a feasible design choice. Please note, I am not trying to be exacting or looking for a scientific answer but of course, experts in flying here can help me guide me with their experience. I use a 20C 1500mAh Gens Ace at the moment. I wouldn’t advise going any lower. The way to work out the optimal C rating is to divide the maximum current required by the capacity of the battery. For example, if the max per-motor current is 10A (a total of 40A for a quad) and you have a 1.5A hour battery, the minimum C rating would be 27C. This is obviously the peak current, and batteries tend to have a peak current 50% above the continuous rating. In the above example, a 20C battery with a 30C peak would be sufficient. The more the better though. The C rating is related to the internal resistance, and internal resistance manifests itself as heat due to the wasted power. LiPo batteries, sometimes also referred to as Li-Poly batteries, are actually lithium-ion polymer batteries. These batteries are one step beyond the more commonly used lithium-ion batteries, technologicay speaking. LiPo batteries can be shaped into nearly any size or design, which makes them a more versatile option. In addition, this particular type of battery boasts a high charging efficiency, a very low self-discharge rate of less than 1 percent per month, and the potential to be charged up to 1,000 times, or in some instances, they can be charged more times than that. How do I charge my LIPO batteries properly?I have just been hooking them up and charging them at 1.0 AMP takes about 3- 40 mins. For a normal fast charge, you can charge it at 50% of the maximum charge rate without a problem, but your batteries will last longer if you charge them quite a bit below the max. You should wait at least an hour after a use before you recharge them. The generally accepted level of charge of a Li-Po battery is 1C. Therefore, the maximum charge rate of a battery will be found by dividing the capacity of the battery by 1 hour. In other words, you simply note the capacity of the battery in mAH, remove the “H” and you will have the maximum charge rate in mA. A 700 mAH battery will be 700 mA (0.7 amps) maximum charge rate. A 1500 mAH battery will be 1500 mA (1.5 amps) maximum charge rate. A 2200 mAH battery will be 2200 mA (2.2 amps) maximum charge rate. Buy a LiPo charger with balance charge for balancing LiPo packs so all cells get 4.2 volt at full charged. You probably will use more then 14.8 lipo battery in the future and then they have balance connector on the battery that You connect to the charger balance connector so the charger can balance charge all cells to bring them all up to about 4.2 volt for fully charged. Non balanced cells is bad in the long run. Many LiPo chargers has storage mode so it will charge/discarge to a set percentage for example 50% or 60% for You. You can usually set percentage for charging so if you set it to 50% (assuming it is discarged below this) it will only charge to 50% and then abort the charging as completed. But usually one use the storage mode for storage charing and normal charge mode for charging to 100%. For smaller LiPo packs that You have a safety LiPo sack for will be enough but You can put it in a cheramic pot also with a cap on if you want. It is special LiPo safe boxes/cases also (some cheaper, some very expensive boxes). 3. Take care not to short circuit the battery by plugging in connections backwards. 6. Charge at the rate recommended by the battery manufacturer. 8. Make sure that the charger’s setting are set correctly for the battery pack that you are charging. 10. Balance your battery pack with each charge to ensure correct charge per cell and have a longer lasting battery pack. This chapter assumes a basic familiarity with the principles of joining batteries in series and parallel. If these concepts are not already clear, the Gibbs Guide Electricity for Modelers will make these ideas easy to understand and is a recommended read. An example of a parallel-joined lipo battery is where two 5000mah 2s lipo are joined to make a 3S battery of 5000mAh in capacity. A suitbale wiring harness would be required for this. It is vital that before connecting packs in parallel that they are in an extremely similar state of charge. If a significant voltage difference exists when they are joined, a current will flow from the higher voltage battery into the other one until their voltages become identical. This current could be quite high because of the extremely low resistance in the circuit. It is possible to charge parallel joined packs while they are connected together. This would also be considered an experimental process and cannot be recommended. It is safest to charge parallel joined packs individually, joining them only when they are needed for use. When connecting your batteries in Series you are doubling the voltage while maintaining the same capacity rating. When connecting in Parallel you are doubling the capacity (amp hours) of the battery while maintaining the voltage of one of the individual batteries. 2 x 3S 5000mah = 6S 5000mah. Personally fitting 2 6 cells in any truck would be very annoying plus the cost of a 6S battery far trumps the cost of a lipo 2s battery. Go with 2 x 3S in a series. Since cells cannot be guaranteed to behave identically, it is safest to store parallel joined packs individually, joining them only when they are needed for use. It’s not recommended to join packs of unequal capacity in parallel. In theory, it should be possible to quite safely do this. Because of the way the cells are connected, they will always remain at identical voltages, so the cells could theoretically still be expected to discharge evently in terms of percentage capacity remaining. In practice, if discharging occurs at a high rage any differences in their internal resistance may cause the batteries to become unequally discharged. Therefore, cells of substantially unequal capacity which are joined in parallel should only be discharged at a relatively low current. Practically, this means its best not to join cells of substantially different capacity if they are to be used for flight packs. If you are in doubt about whether this issue applies to your model, a test is easy to arrange – connect the fully charged batteries in parallel, run the motor for a while and then disconnect the batteries. If there is a significant difference in voltage, this is evidence of unequal discharge. * Weight – Keep it light by using light-weight materials. Air weighs less than balsa and balsa weighs less than plastic and glue. Use a light-weight covering if you’re building with balsa. RAMcrolight covering is like Monokonte, but weighs a lot less (035 oz/sq ft for Microlight vs 25 oz/sq ft). Use the correct type of balsa in various parts of the model to botain the best weight-to-strength ratio. You’ll need to a good set of scales to measure the weight of materials you use. * Batteries – select the proper type and capacity battery for the motor. I’ve enjoyed experimenting with batteries for my electric airplanes. NiCd batteries are best for high-current draw (big motors). NiMh batteries are lighter, but have lower current draw capacity. Lithium Ion batteries store more power, but have the lowest current draw capacity. If we define ‘C’as the capcity of the battery, the NiCd batteries can discharge at 10-20 times C. NiMh batteries work best at about 5 times C and Lilon batteries work up to about 2 times C. For a 11.1v 2200mah lipo, this translates into discharge rates of 7-14 amps for NiCd, 3.5 amps for NiMh, and 1.4 amps for Lilon. I’ve also developed basic battery info on several types of batteries as they pertain to the electric flight hooby. Today (late 2007), battery vendors are now prodcucing Lithium Polymer batteries that replace the metal can container with light plastic. The current delivery capability has also been increased from about 2C to 20C or more. Cometitive airplaneds are now being powered by electric motors and are winning major competitions. * Propeller – higher RPM direct-drive motors drive smaller propellers efficiently while geared motors drive larger diameter propeller better. A larger diameter propeller at lower RPM is more efficient than a smaller propeller at higher RPM. However, the application determines the propeller diameter. The propeller pitch also needs to be correct. One can trade pitch for diameter, over a small range. A 10×8 propeller will be nearly equivalent to an 11×4.7 propeller. The 11×4.7 will be more efficient and provide more power while the 10×8 will provide a higher top characteristics. Too large a propeller (diameter or pitch or both) will load the motor more and draw more current with not much performance in return. Too small a propeller will not provied optimum performance. A good overview of contemporary battery technology suitable for unmanned vehicle operations can be found. Ultimately the batteries selected for the payload were two lipo battery 4s with capacities ranging from 1000 mAh to 2170 mAh. Lithium polymer batteries were selected primarily because of their low weight. They also are commerically available at any hobby store. Downsides with these types of batteries include dangers associated with fires and explosions if they are not charged properly. In addition these types of batteries cannot be carried on board an airplane, which may cause problems with shipping the mobile host. It was determinded the weight saving achieved with lithium polymer batteries far outweghed any disadvantages inherent in this type of battery chemistry. 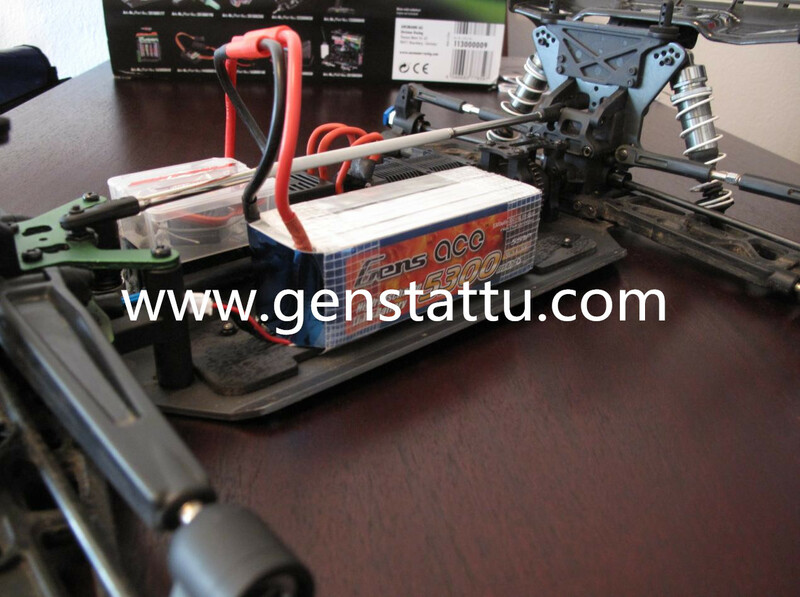 The battery selected to operate the RC car was an 1800 mAh 2S 7.4V lithium polymer battery. As an example of the tradeoffs, the Tiger Moth uses an‘can’type motor geared at 5.9:1 that draws about 1.5 amps at full speed when driven by a 7 cell battery. The propeller provided with the Tiger Moth is a 9×7, but I’ve found that a 10×4.7 provides better performance. I haven’t noticed that the speed is slower with the 10×4.7 prop, but I have noticed that there seems to be more power for takeoffs and loops. The 650mAh and 720mAh battery packs I use provide me about 20 minutes of flying time each, as expected (figure 720mAh/1.5A = 48hours = 28 minutes on this plane/motor/prop/battery combination by running at about 1/2 throttle. I’ve tried an 11×4.7 and found the performance to be less. The thrust measurements I’ve made show the same difference in thrust with this motor and various propeller combinations – 10×4.7 provides greater thrust. I am pretty new to flying RC planes. From day one I have used Gens Ace lipo batteries from Genstattu.com. I have all of my ESCs set to “soft-cut” mode meaning that the power delivered to the motor is reduced when 3.2 volts is reached. When flying, I land as soon as I experience lethargic throttle response. I have never puffed a 7.4v 2s lipo using this approach. One thing I have noticed though is that charging rate has a definite impact on flight time. If I charge at 2C or 3C the battery provides less flight time than if I charge it at 1C. In fact if I charge the battery at approximately 0.8C I get nearly 25% better flight time. For example, I charge my 3S 2200mah lipo battery at 2.6Ah (2C), I get about 8 minutes of flight with liberal throttle. If I charge the same battery at 1.0Ah (~0.8C) I get about 10 minutes of similar flight. This is consistent across the range of batteries I use, ranging from 850mah to 3300mah. The best way to discharge a battery for disposal is to use automobile taillights. Solder your favorite connector to some wire, solder the other end of the wire to one (for up to 3 cells) or two (for up to 6 cells) taillights in series, plug your battery into the newly created discharger for a few hours. Then check the battery voltage to ensure it’s close to 0, cut off the connector, strip the wires and twist them together to ensure that any bounceback voltage goes away, and discard the pack. What is the difference between a one, two or three cells lipo battery? The primary difference is voltage! A single cell or (1S) Lipo is 3.7 volts, 2-cell or (2S) Lipo is 7.4 volts; 3-cell or (3S) is 11.1 volts. I am sure you have figured out, each cell is 3.7 volts and depending on how many cells you have in series you can multiply those numbers by 3.7 and that will give you the packs voltage. (Example 3 x 3.7 = 11.1) Running a 3-cell Lipo battery will give you the relative equivalent voltage if you were to run 9 to 10 NiMh or NiCad type cells that are 1.2 volts per cell. Electric motors are capable of running different amounts of voltage.However, it is important that you pay attention to gearing; incorrect gearing with prolong runs from high capacity batteries can results in excessive heat to the motor and the battery. If you are not careful, it is possible the battery could overheat which will cause it to swell and possibly catch on fire or explode be sure to check for proper gearing no matter what motor you run, brushed or brushless. What is 2S2P: Means there are two cells (2) in series (S) (which makes 7.4 volts) and two (2) in parallel (P) to get capacity. If you were to add another cell in series that would increase the (S), number to and would raise the capacity from 7.4v to 11.1v at that time you would have a 3S2P battery, and that number can increase even more depending on how many cells are added to the pack. Some packs may consist of a combination of serial and parallel connections.Lipo batteries commonly have four 3.7V Li-ion cells in series to achieve 14.4V and two in parallel to boost the capacity from 2,400mAh to 4,800mAh. Such a configuration is called 4S2P, meaning four cells in series and two in parallel. Insulating foil between the cells prevents the conductive metallic skin from causing an electrical short. Most battery chemistries lend themselves to serial and parallel connection. It is important to use the same battery type with equal voltage and capacity (Ah) and never mix different makes and sizes.